Hope you all had fun playing during the Beta weekend. An old WoW buddy of mine from Canada preordered the game with us. 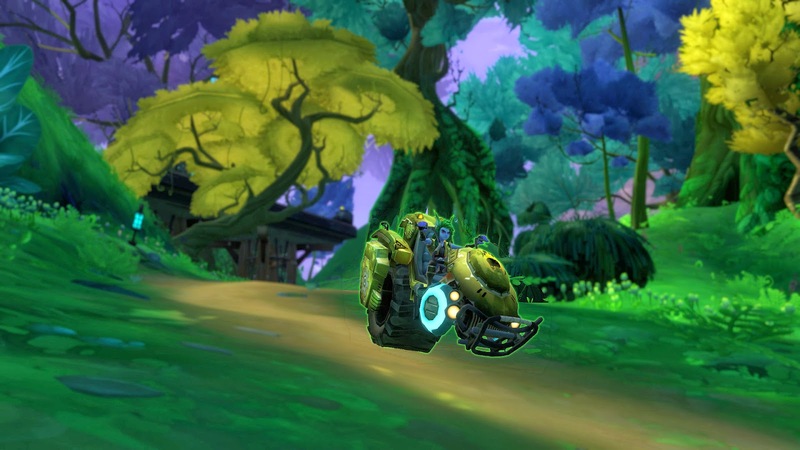 After showing him the Wildstar website earlier in the week, he was immediately sold on the spellslinger class. He wasn't sure about which faction, but he leaned towards Exiles because, "they're the good guys and the Dominion seems like a bunch of d*@ks." Virika and I had wanted to revisit the Exiles anyhow, so we made a bunch of Aurin toons. I felt we should all play something different from one another, so V played stalker, and I made another Esper. It probably would have been more exciting if I did something else, but at least I had some idea of what I was doing. 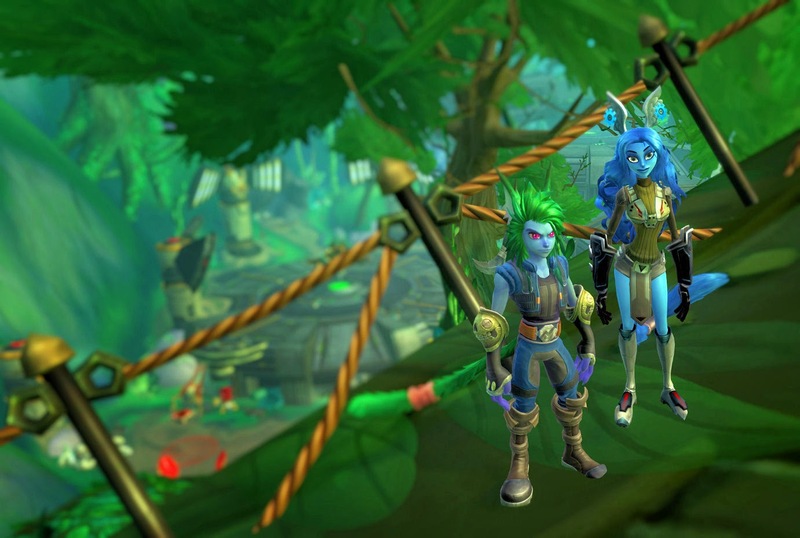 The Aurin are the tree hugging hippies of the future who don't have a problem getting scrappy when the bad guys show up. We had fun hacking, slashing, and slinging spells across the Celestial Forest. We beat up the baddies, rubbed elbows with royalty (the Aurin queen is our buddy) and we even got to Thayd. After that, Virika and I began to set up our plots of land before retiring for the night. My Aurin house lacks the swagger of my dominion pad but I was happy to get it before the weekend ended. The Exiles... they are just so epic. They are the good guys struggling to survive with an evil empire stacking all the odds against them. They are the underdogs of the galaxy and they don't stand a chance. But, let me tell you, the Exiles player is gonna have a hell of lot fun giving those Dominion bastards a run for their money. When players quest for the Exiles, they feel heroic. They are protecting the innocent and killing the bad guys. While questing for the Dominion, the player feels like a bit of a pawn. They don't really care about the player. As long as the player continues to perform tasks and accomplish the missions assigned, the Dominion won't vaporize him or her yet. Also, the Exiles have the Mordesh or as I like to call them, the coolest race in the game with the best back story. I'm sure both sides will be fun to play. Each side has their merits. Which will you choose? I think you really nailed with the Exiles make you feel like a hero while the Dominion make you feel like a pawn. The Dominion represents the ideal of "Since we are Right, everyone who disagrees with us must be Wrong." I also really like the first major hub you get to as a human or Granok. It's a Sci-Fi Western town that made me nostalgic for Captain Mal and the crew from Firefly. I love that zone... I didn't complete it though. Deadeye was a boss. Yeah, the more I play the Dominion, I see a lot to like about it. Yeah they are evil... but to the point of absurdity. It's very comical in the end. That being said, Virika and I will be playing Exiles at launch (pretty sure).